Are you an undergraduate or graduate college or university student? VelvetJobs is proud to announce a $1000 scholarship for students studying in the USA or overseas. The “Employee Morale Scholarship” aims to get students thinking about their own potential future management position and how their decisions can affect employee morale. Through our own outplacement services we've dealt with thousands of employers on the issues that affect them most when it comes to retaining employees and keeping them happy. We're looking for students to write about their favorite idea on how to boost and maintain employee morale. The piece should include a headline of the morale boosting idea and then should include at least 500 words on how to effectively deploy the strategy. We will be judging the strategy on both it's uniqueness and it's practicality. That means the idea should stand out from the crowd but also be easily implemented into the workforce. The idea does not have to be overarching to all types of workforce but can be individualized to a specific workforce such as (office based, manufacturing, mobile workers, etc.). Scholarship funds will be released for the Spring 2018 semester. Do you have previous winners? 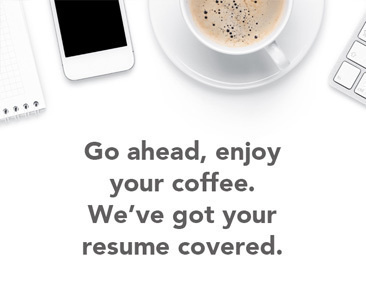 In 2016 we offered the resume template design $1000 Annual College Scholarship. There were some incredible entrants. Nicole Campbell of Utah State University was the winner and was showcased on the VelvetJobs website. You can read more about how our 2016 scholarship helped her here. Why is VelvetJobs offering a scholarship? Our belief is that everyone is entitled to learning and education. We hope that financial barriers to learning and education will continue to be removed by innovative technology. How often is this scholarship offered? Can I be an international student? What if I'm not a formal student anywhere? You must be currently enrolled or accepted and planning to be enrolled as a full time student. The scholarship winner will be announced one month after the scholarship deadline. We need this time to review all of the applications. We'd love for you to share this scholarship across your website, social media and scholarship boards.